Employers may not bring federal civil rights claims to challenge unemployment tax assessments, says the Washington Supreme Court. Washington Trucking Associations v. Employment Security Dep’t, 188 Wn.2d 198, 393 P.3d 761 (2017). Likewise, employers may not challenge assessments with state tort claims . Instead, employers must rely on the state tax appeals process, which limits the remedy to a tax refund. A person may bring a federal civil rights claim against a state official for violation of federal constitutional or statutory rights. 42 U.S.C. § 1983. That’s what several trucking companies did when the Employment Security Department reclassified owner-operator drivers as employees. The reclassification increased the companies’ unemployment tax assessments. The companies claim that the Department conducted rigged audits, leading to the reclassification. “Comity” refers to the principle that the federal government give proper respect for state functions. It is particularly important with respect to suits challenging the constitutionality of state taxes. “[C]omity restrains state courts from awarding any type of relief in section 1983 actions challenging the validity of state taxes, provided there is an adequate state law remedy.” 393 P.3d at 769. The adequacy of the state law remedy turns on procedure, not substance. Thus, the procedure is adequate if it provides the employer with a “full hearing and judicial determination” of all constitutional objections. 393 P.3d at 771. Under state law, employers may challenge the constitutionality of a tax assessment. If successful, they receive a tax refund. 393 P.3d at 774. This is a far cry from the relief afforded under section 1983, which includes punitive damages and attorneys’ fees. But, the Supreme Court holds, it is procedurally adequate. Id. 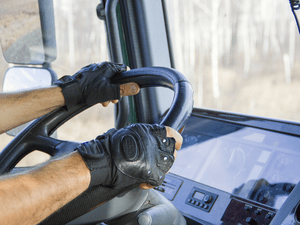 The trucking companies also claim that the reclassification constitutes tortious interference with business expectancies. But the Court does not allow the tort claim. The tax statute provides the only means for challenging the “justness or correctness” of a tax assessment. For this reason, says the Court, it bars the tort claim. The post Washington Supreme Court limits employers’ ability to challenge unemployment tax assessments appeared first on The Gillett Law Firm.